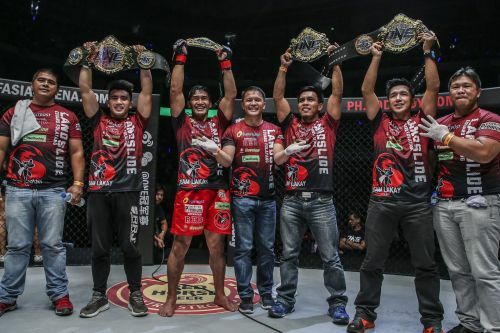 Asian mixed martial arts promotion ONE Championship will be reaching a wider audience in 2019 after they announced a three-year broadcasting deal in the United States with Turner Sports. The Singapore-based martial arts outfit confirmed the news via an official press release sent out Thursday. According to the release, ONE Championship events will be distributed stateside via B/R Live, Turner Sports’ live sports streaming platform. In addition, TNT will also be airing 12 one-hour taped re-airs that feature ONE Championship events each year. “ONE Championship is one of the most popular mixed martial arts organizations in the world, with a high concentration of passionate, millennial fans that make it a perfect fit for B/R Live and TNT,” said Lenny Daniels, President of Turner Sports, who added that they fully intend to widen ONE Championship’s scope in the United States. ONE Championship Chairman and CEO Chatri Sityodtong also commented on tremendous opportunity to showcase ONE’s brand of action to a North American audience. The move comes after ONE Championship loaded up on big name talents who have established themselves in North America, including Eddie “The Underground King” Alvarez, Demetrious “Mighty Mouse” Johnson, and “Super Sage” Northcutt. Alvarez, Johnson, and Northcutt are all set to make their debuts in 2019, and they’ll be doing so with ONE readily available to the US audience. ONE will kick 2019 off with an exciting title bout between two Asian stars, as reignign ONE Strawweight World Champion Joshua “The Passion” Pacio of the Philippines puts his world title up for grabs against Japanese challenger Hayato Suzuki in the main event of ONE: ETERNAL GLORY which happens on Saturday, 19 January in Jakarta, Indonesia.